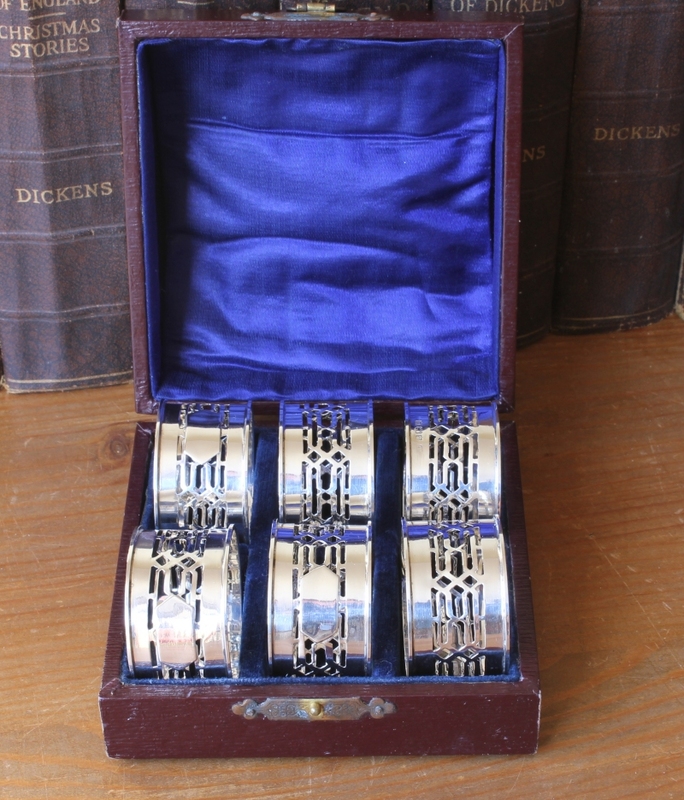 Art Deco Solid Silver Napkin Rings Box Set of 6 1919 William Devonport. 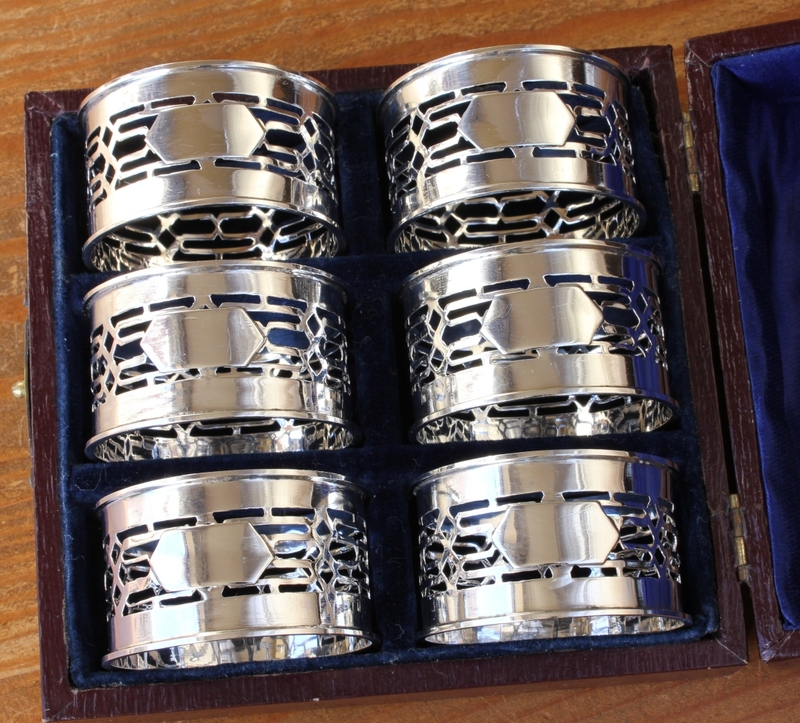 This very stylish set of six napkin rings are made of solid silver and date from 1919. 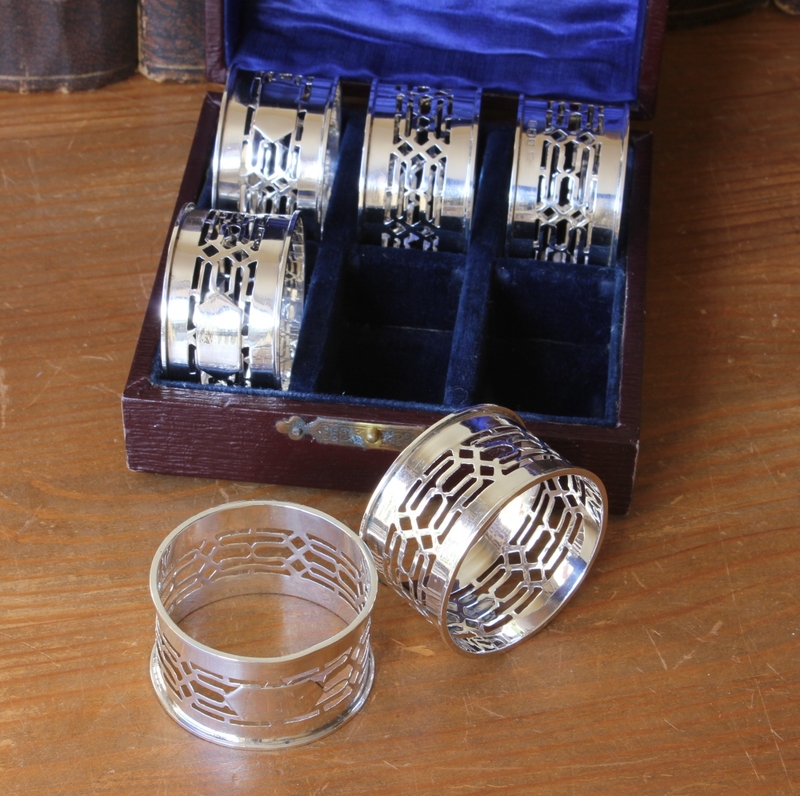 Each one is fully hallmarked for UK sterling silver, measures approx 4.5 cm in diameter and is beautifully decorated in an Art Deco geometric pattern. 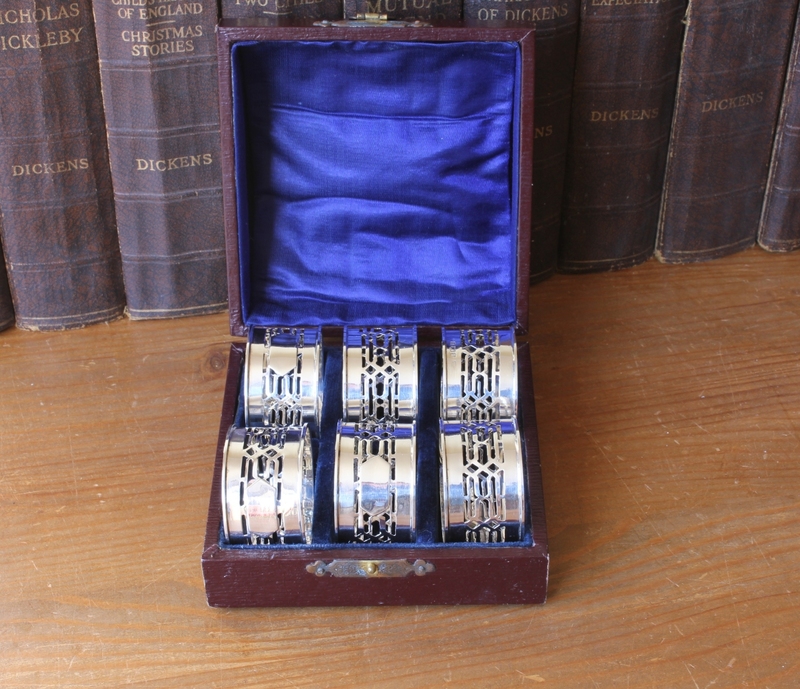 They are made by top silversmith William Devonport and come complete in their original fitted presentation case. 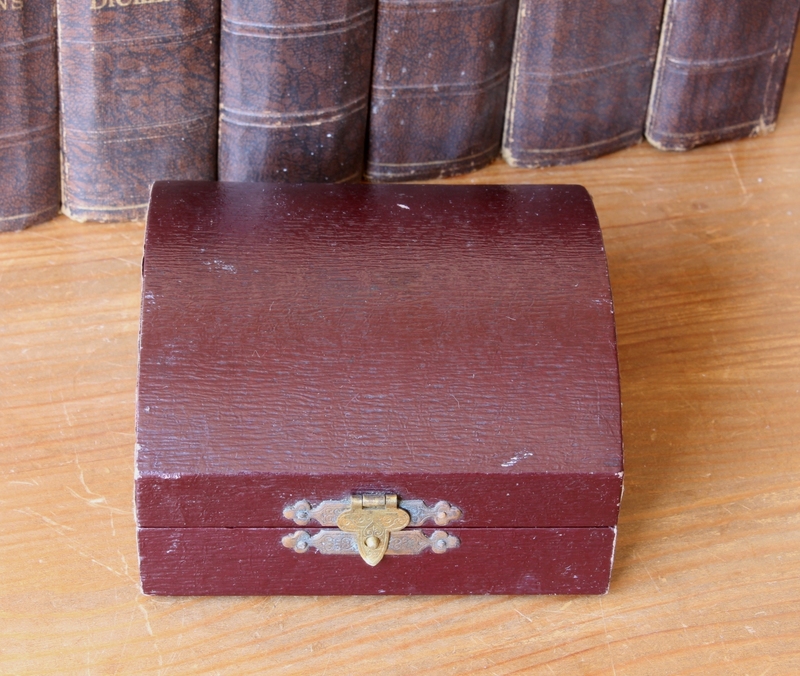 Each has a vacant plate at the front which are ideal for engraving if you wish. 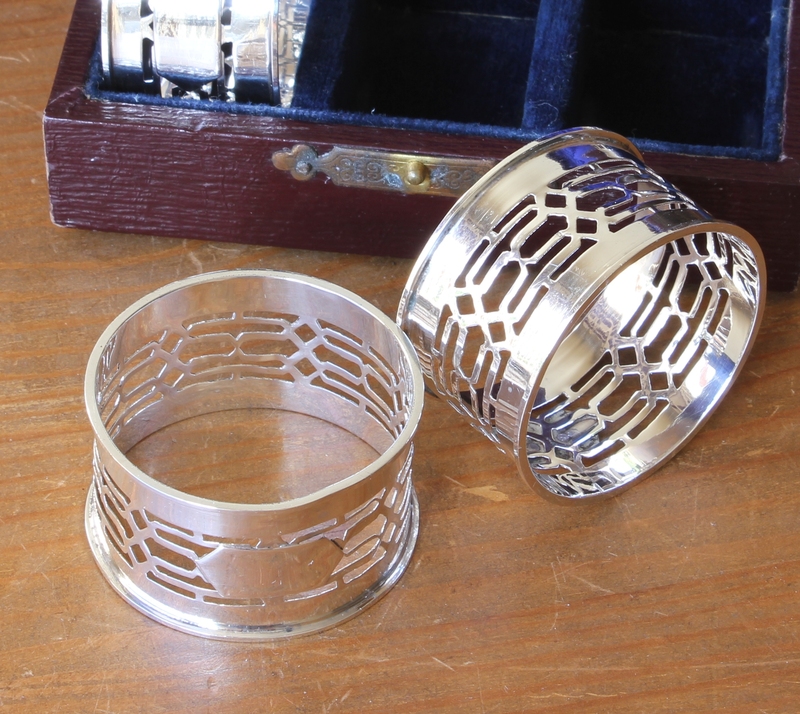 Total weight of the 6 napkin rings: 75 grams. Diameter - 4.5 cm (1 3/4") approx. Height - 2.6 cms (1") approx. Hallmarks: Fully hallmarked for silver, for Birmingham, with the makers mark for William Devonport and with the date letter u for 1919. Condition: Excellent antique condition with some very light scratches and light signs of use in keeping with age. Some minor misshaping. Box has a little wear and marks.